Mangalore, Aug 15, 2014 : SA Prabhakar Sharma, Executive Director of Dr Shivarama Karanth Pilikula Nisarga Dhama delivering a lecture on ‘Disaster management’ in the context of Mangalore air crash, organised by Mangalore Management Association (MMA) here August 13, said “The sad plight of 12 passengers, whose mortal remains were mass buried as their relatives claims were found to be false by DNA test still lingers on. If the authorities concerned had not succumbed to the emotional pressure of some of the victims’ kin, the situation would be different". 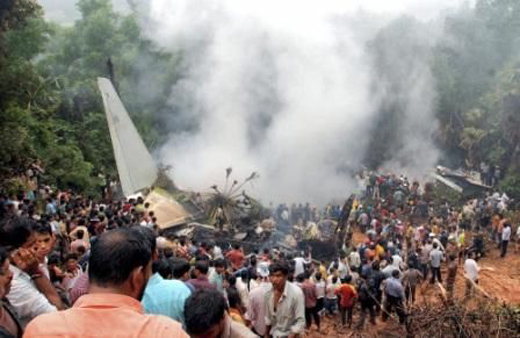 Confessed SA Prabhakar Sharma, who was in-charge Deputy Commissioner of Dakshina Kannada when the horrific incident of air crash occurred near Bajpe Airport on the fateful day of May 22, 2010, claiming 158 lives. Sharma, the then Additional DC, was in-charge DC as the Deputy Commissioner Ponnuraj was on a training abroad. “Within 36 hours of the incident, we handed over 136 bodies of the victims, including a few of the charred, unidentified bodies also. We succumbed to the emotional outburst of some of the relatives of the victims. As DNA test facility was only available in Hyderabad then, relatives pleaded that they can’t wait for the result with their dear ones body in an unclaimed condition. Some relatives were before us without having food for days. The wailing kin said that how could they fail to identify the body of the person’s husband/wife/father/mother were haunting us. We fell to that plea. Now, looking back, I feel that decision was a disaster,” recalls Sharma. The samples of the remaining 22 charred bodies were sent to Centre for DNA fingerprinting and Diagnostics (CDFD) in Hyderabad. After a week, the results came and only the claims of 10 relatives were proved right. That means, 12 bodies were mistakenly included in the 136 bodies handed over earlier. Finally, the district administration was left with the unclaimed 12 bodies and after scouting for several places, we buried all at the land provided by NMPT, Sharma recalled. Challenge: Prabhakar Sharma said that on the day tragedy struck transporting 158 bodies to Wenlock hospital posed biggest challenge. As all relatives, public, media persons flocked the venue, there was a possibility of a stampede. Hence, it was decided to send bodies to three hospitals. The cremation of 12 unclaimed bodies also posed a tragedy. No one allowed to cremate the bodies adjacent to their places. At that time, NMPT Chairman Tamilvanan whole heatedly allotted a piece of land in the possession of NMPT, Sharma reminisced. Sharma felt that the zealous but untrained participation of public in the rescue work had put the authorities into disadvantage. “Theft and nuisance were reported after the tragedy.” Dwelling on the lessons learnt from the incident, he said measures like keeping public and relatives 500 metre off the crash site, arranging press briefings once in every 30 minutes etc would have made the situation better handled. He added that because of the air crash, the State government immediately set up a DNA testing centre in Bangalore to avoid the inordinate delays. MMA Vice President J H G Anchen and Dr Devaraj K also spoke. The retrospection gave a better understanding to those dealing with disaster.